Phillips Exeter Academy in Exeter, N.H. Leaders of Phillips Exeter Academy acknowledged Tuesday that the school mishandled a recent accusation of sexual misconduct in which a male student was asked — as an “act of penance” — to bake bread for a classmate he allegedly sexually assaulted. The school also announced the creation of a new “director for student well-being” to handle future sexual misconduct complaints. The admission and the announcement of the new position came the day after the elite boarding school received a petition with more than 1,000 signatures of alumni who vowed to withhold donations until the school cracked down on sexual abuse. “Exeter’s handling of a recent allegation of sexual assault, reported in the Boston Globe, is a disturbing reminder that we still have much work to do,’’ said the letter to alumni from the president of the trustees and the principal of the New Hampshire school. But leaders of the petition drive said they were disappointed with the letter from Exeter’s board president, Nicie Panetta, and principal, Lisa MacFarlane . They called the announcement “just words” that paper over the elite boarding school’s history of downplaying or failing to disclose sexual misconduct on campus. The leadership of Exeter “has swept aside allegations of sexual assault for years, and numerous members of ‘our entire community’ . . . have been suffering from this active, inexcusable misjudgment for far longer than” Exeter officials admit, according to a statement signed by three organizers of the petition drive. “The administrators need to get their house in order,” wrote the three alumni — Tez Clark, Ange Clayton and Zoha Qamar. In their letter, Panetta and MacFarlane said that the school has begun to take steps to improve how it deals with sexual misconduct. The trustees already have approved plans to recruit a director for student well-being with expertise in preventing and addressing such misconduct. 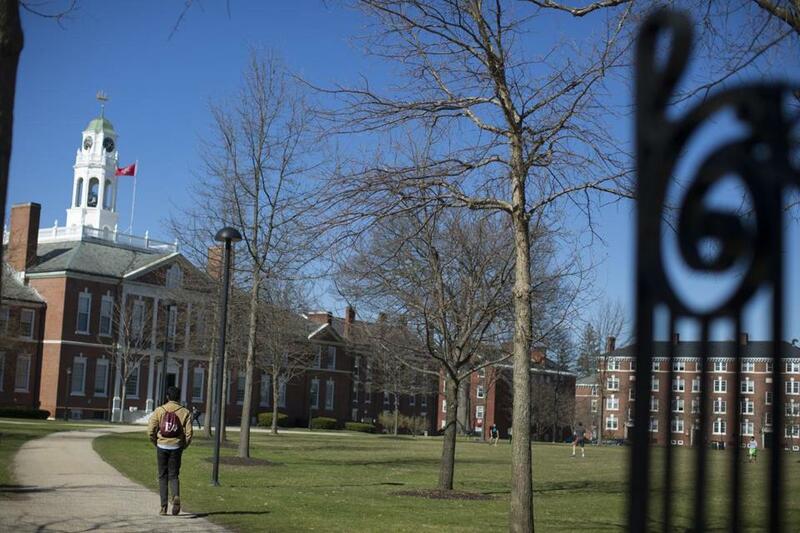 In addition, the school is awaiting the results of two reviews it commissioned since December, including one by a University of New Hampshire center looking at how Phillips Exeter deals with sexual assault and harassment . The school has also asked legal experts to conduct a “broader review” of campus policies. Some alumni welcomed the school’s admission of mistakes as well as the new initiatives. Instead of going to the police, Henry accepted the school minister’s proposal that the young man bake bread for her weekly, as an act of “penance,” as the Globe’s Spotlight Team reported last week. Henry eventually went to police herself after months of frustration with the school’s response. Whitfield Jones also applauded the plans to hire a director of student well-being. Nonetheless, he felt the letter inadequately addressed how the school will help students who suffered from sexual abuse and harassment in the past. Robin Giampa, a spokeswoman for the school, said late Tuesday that Phillips Exeter is determined to help victims “find resolution and healing.’’ School officials plan to contact victims as soon as Exeter police finish investigating abuse allegations that surfaced this year. Exeter has been buffeted by sexual misconduct scandals this year, raising deep concerns among alumni and cast a pall over the academic year. In March, the Globe reported that a celebrated faculty member, Rick Schubart, was quietly forced to resign and permanently barred from campus after he admitted to two cases of sexual misconduct with students in the 1970s and 1980s. 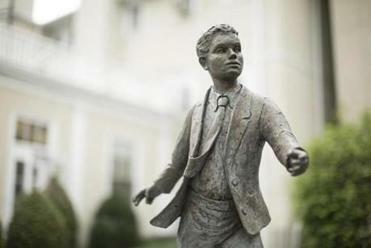 Tom Hassan, MacFarlane’s predecessor as headmaster, was censured in April by the Association of Boarding Schools for not disclosing Schubart’s behavior before the group gave him a national leadership award in 2012. In May, a former admissions officer, Arthur Peekel, turned himself in to police in Exeter to face two misdemeanor charges that he sexually assaulted a teenager decades ago. Then, last week, Phillips Exeter alumni organized a petition drive to withhold donations to the school following revelations that Phillips Exeter did not immediately report Ikpeazu’s alleged assault to police. Michaella Henry told the Globe that school administrators initially said the incident was sexual harassment rather than an assault, and therefore did not need to be reported to police. Instead, the school minister, the Rev. Robert Thompson, tried to get the two to work out their differences. Out of that meeting came the agreement that Ikpeazu would bake a cinnamon-laced concoction called “monkey bread’’ and deliver it to Henry weekly. Henry told the Globe that the arrangement only traumatized her again because she had to face her alleged abuser regularly. She ultimately reported the episode to Exeter police in May. Ikpeazu was arrested on June 3 on a misdemeanor charge of sexual assault and released on $5,000 personal recognizance bail. She said school officials had no problem ignoring their duty to promptly report the alleged assault to police, but are now saying they must not interfere with a matter in the courts. “They didn’t have any issues with ignoring legal [requirements] until she went to the police and then people found out,’’ she said. In their letter, MacFarlane and Panetta were contrite about the criticism they’ve received.